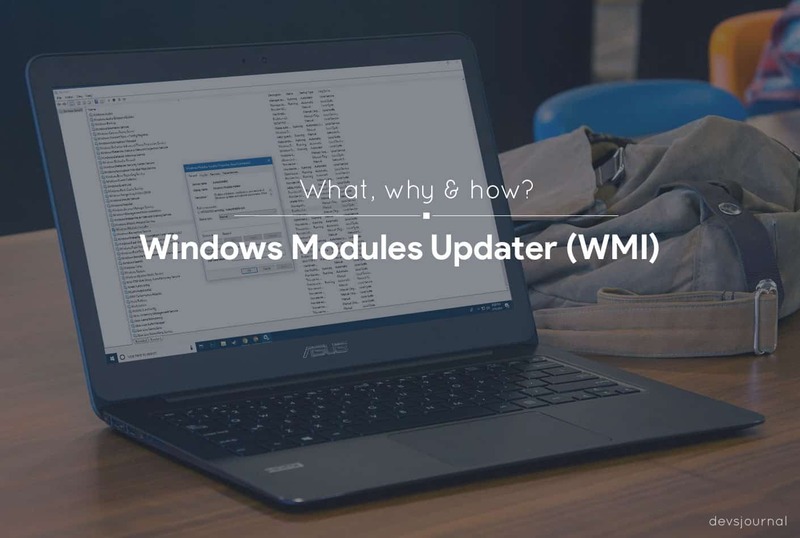 In this article, we will tell you in detail about what is Windows Modules Installer Worker and how you can fix the high CPU usage of it! This article is a part of our Windows explanatory series which explains different process found in Task manager like rundll32.exe, svchost.exe, dllhost.exe, dwm.exe and more. 1.2 The question of Concern: Is it a Virus? If you want to know it in just one line, then the Windows Modules Installer Worker is a Windows Service or a program that looks for new updates and installs it on your computer. Simple enough. Now let’s know about this in detail. It enables installation, modification, and removal of Windows updates and optional components. If this service is disabled, install or uninstall of Windows updates might fail for this computer. This short piece of code or software has a lot of importance as it enables installation, modification, and removal of Windows updates and optional components that are required for the proper functioning of the windows. Microsoft is paying much attention to auto-update its previous version of the operating system, and Windows Modules Installer Worker is one way to do it. 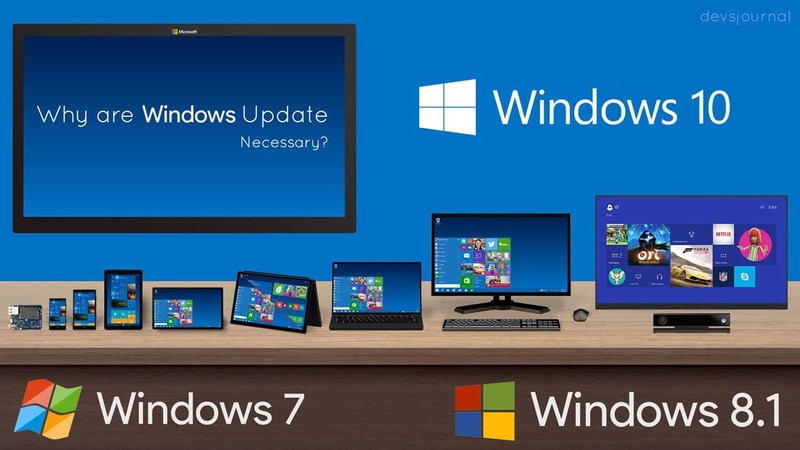 The operating system like Windows 10, Windows 7 & 8 have a feature to auto-update to the latest version of the operating system with the help of this software. 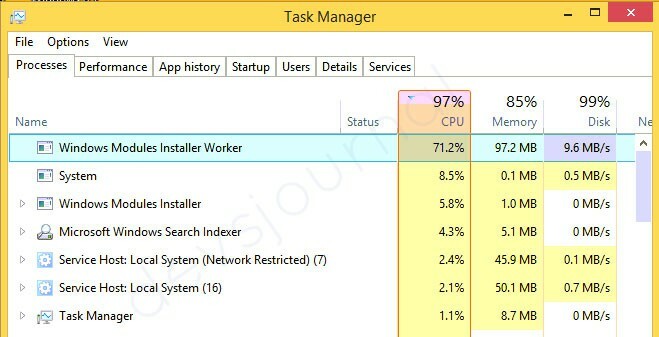 However, there are various reporting that while auto-updating the windows, Windows Modules Installer Worker takes up very high CPU usage resulting in its overheating but generally it happens when the process gets messed up in the middle, and this will cause in a high CPU usage and sometimes even up to 100%. I know there are many of you who might be wondering, why to update the windows and its component if it is causing so much of CPU resources. Why can’t we just stop the Windows Modules Installer Worker to install the latest version? All these questions are so common, and you are not the first one to think about it. But before coming to any conclusion, everything inside Windows OS is happening for a reason. An update is not created for any financial gains by Microsoft. They are for a reason, to address the vulnerabilities and problems with their existing products. Updates are important as they keep your computer updated and secure. Updated programs or operating system also include improvements to the software you rely on every day as well as drivers for new devices you may want to use. Other than this, there are lot of hackers online which are always looking up for a new way to exploit the systems, and I am sure you don’t want that with your system. Having an updated system will save you from any such unfortunate event. Windows OS being a platform designed in C, C++, can be exploited via different methods which are released every month. To make the platform safe and secured, Microsoft releases security patches to fix the loopholes. This is the reason why updating your windows and its component is so much necessary and why it’s not advised to turn the Automatic updates. The question of Concern: Is it a Virus? There are many people who are continually asking that is it a Virus. So for all of them, here is the straight answer, No. It is NOT A VIRUS. Windows Modules Installer Worker is an important piece of software which helps you a lot in keeping your system up to date. It has been put up in your system by Microsoft to automatically update your windows from time to time so that you don’t have to face problems due to the outdated windows or any of its software. And also there are no reports of anyone saying that the Windows Modules Installer Workeror TiWorker.exe process is malware or any kind of virus. It is true that sometime it will drastically increase your CPU usage, but that’s the case only when your CPU is not able to provide it enough memory to keep it working or a problem has been raised while installing the update. But there is no need to worry as you can prevent all of this and in this article, we are going to share that also. So, keep reading further. This method is one of the most used and easiest methods of solving the high CPU usage of Windows Modules Installer Worker. As the primary role of this software is to update the windows automatically but when you make do manually there is no need of it, and in result, you will not see it running on background processes. 1. Press the Windows button + R on the keyboard and type ‘services.msc’. Click on the program. 2. 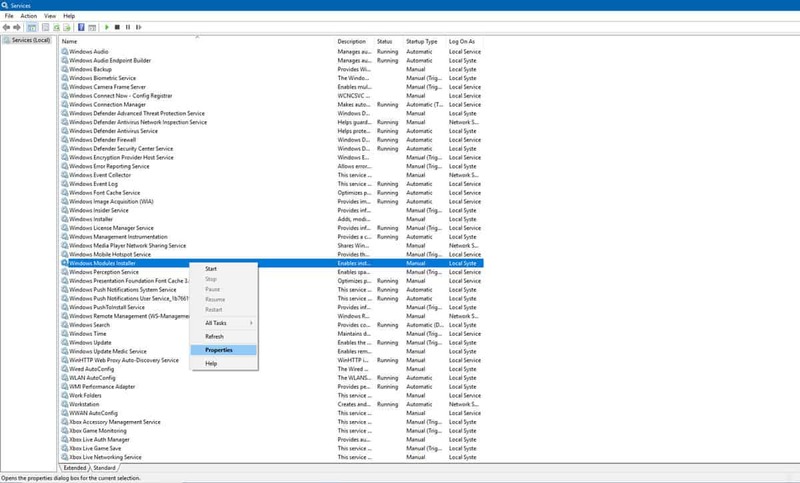 Search for Windows Modules Installer and click on it. 3. After you had clicked on the Windows Modules Installer Worker, you will see a new window. Search for ‘Startup Type’ and change it from ‘automatic’ to ‘manual’. Click OK at the bottom of the window. 4. Go back to services.msc window. Search for ‘Windows Update’ this time and set it to ‘manual’. 5. You are done halfway. Now find windows update in control panel. 6. Once you found the windows update, go to the change settings. Open Windows Update and go to ‘change settings’. Choose ‘check for update but let me choose whether to download and install them’. Click OK and close all the windows. 7. Restart your pc to finalized the changes you have done and once it will restart you have successfully updated manual installation. That’s it. Now you will never see the high CPU usage just because of windows module installer updater worker. This is the second method you can opt for to fix the high CPU usage by Windows Modules Installer Worker. A clean boot can be done by Microsoft Configurations tool which can be found in every Microsoft enabled system. The basic function of this tool is that, that it will clean all the unwanted, and temporary files from your system resulting in the release of some amount of space. It will also clean up unwanted services and process running in the background reducing the CPU usage. 1. Click on the Windows button and search for msconfig.exe. Once found, open it. 2. 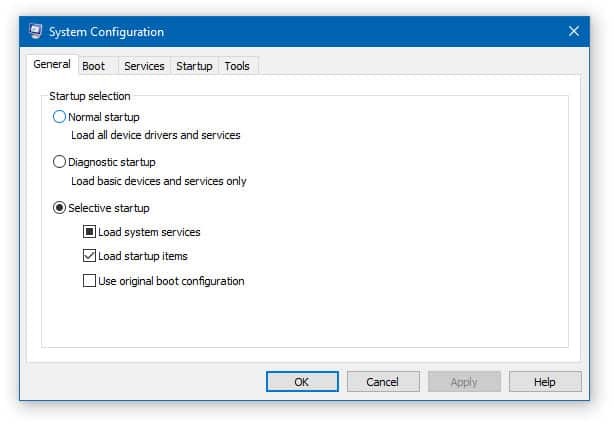 Once you see the MSConfig window, simply select normal startup. Press OK.
After a restart, you won’t see high CPU use error. And that’s it; you have successfully reduced the CPU usage. So, these are some of the most commonly followed methods by which you can easily fix the high CPU usage of the Windows Modules Installer Worker. We are sure that if you are going to follow these methods as stated, there are 99% chances that you will be able to fix the high CPU usage but if it doesn’t work for you then, most probably you need to update your system hardware as it is not capable enough to handle up all the load. 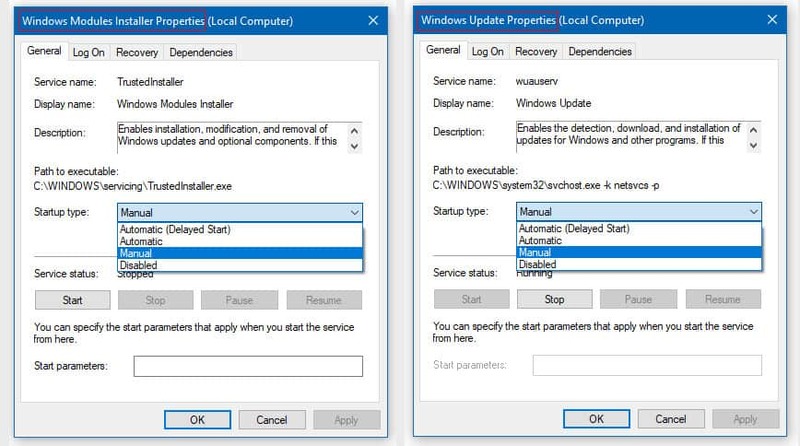 If you have a good configuration and still facing this issue, it could be Windows fault, try installing Windows Update troubleshooter from here and run it. Let us know which method worked for you in the comment section.